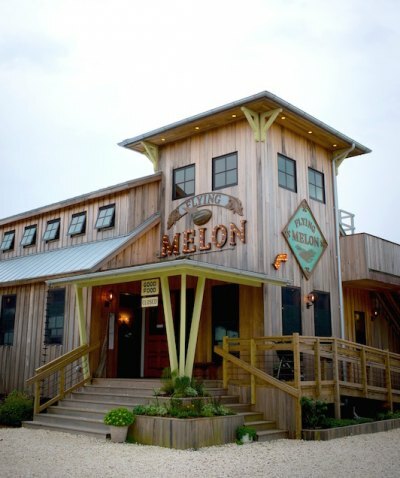 The Flying Melon serves Creole and Southern cuisine made with fresh ingredients and local seafood. 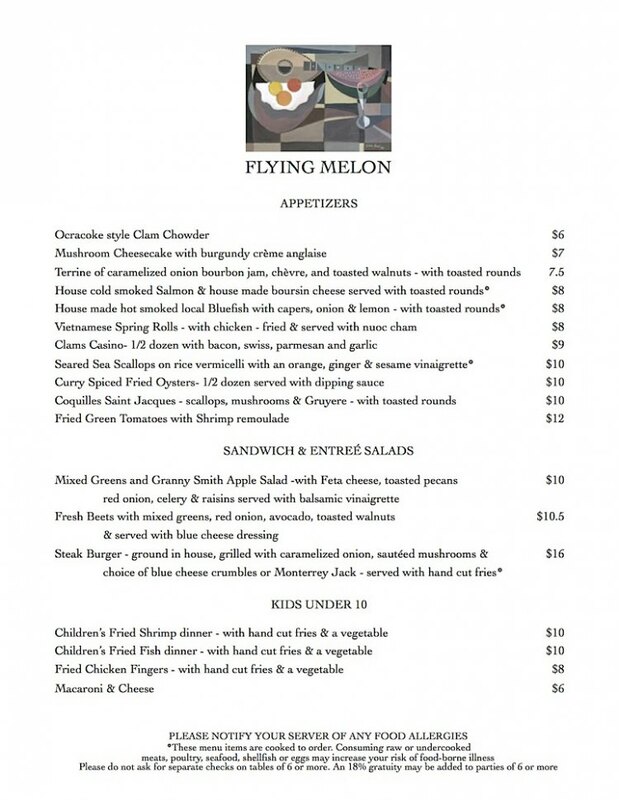 The Flying Melon has a charming and relaxed atmosphere, and a cozy full-service bar. Located at 181 Back Road on Ocracoke. 252-928-2533. Carry-out available. 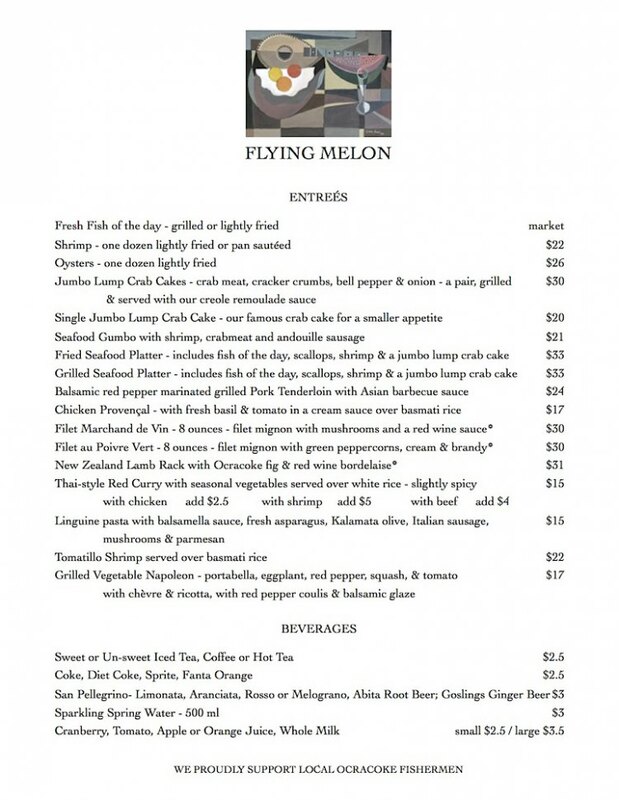 Open for dinner Tuesday–Saturday, 5pm – 9pm. From Memorial Day – Labor Day, open Tuesday–Sunday, 5pm – 9:30pm. We proudly support local Ocracoke fishermen.